Hubbub - Third Year Fine Art Sculpture Exhibition! Third Year Fine Art Sculpture Exhibition! 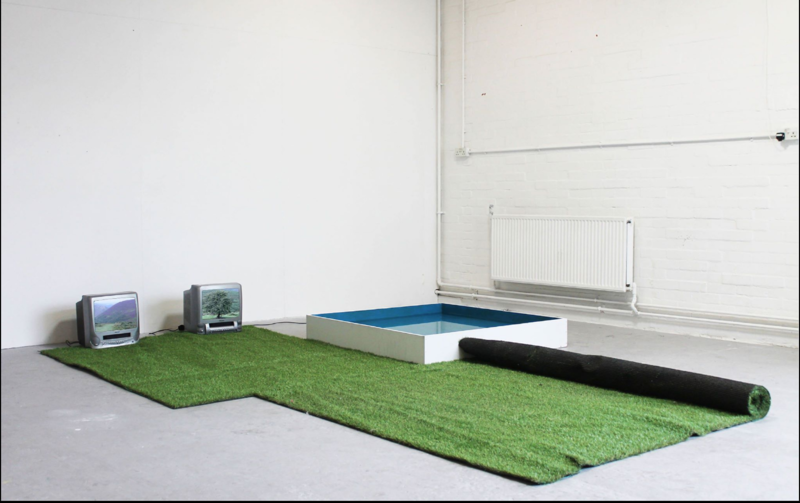 Help 13 Third Year Sculpture Students Put On Their Final Degree Show! Hello! As final year students we are preparing for our final degree show in June 2019! This show is a great opportunity for us to use everything we have learnt over the past three years and put on an impressive exhibition showcasing and advertising our hard work and skills. We are looking to raise £800 in total to be able to fund this exhibition! GRACE ATTRELL. minnow carty. POLAM CHAN. EMILY DARLING. LAURA hargreaves. MARIA KELLY. SHERMAN LEE. ANA LIPPS. JESSE mills-mcgowan. Anya Palamartschuk. LIESKE WEENINK.TOR WILLIAMS. sam WRIGHT. We are a small but strong group of 13 passionate, creative final year sculpture students from The University of Brighton. We make art around a broad range subjects, materials and approaches, which highlights how diverse sculpture can be. 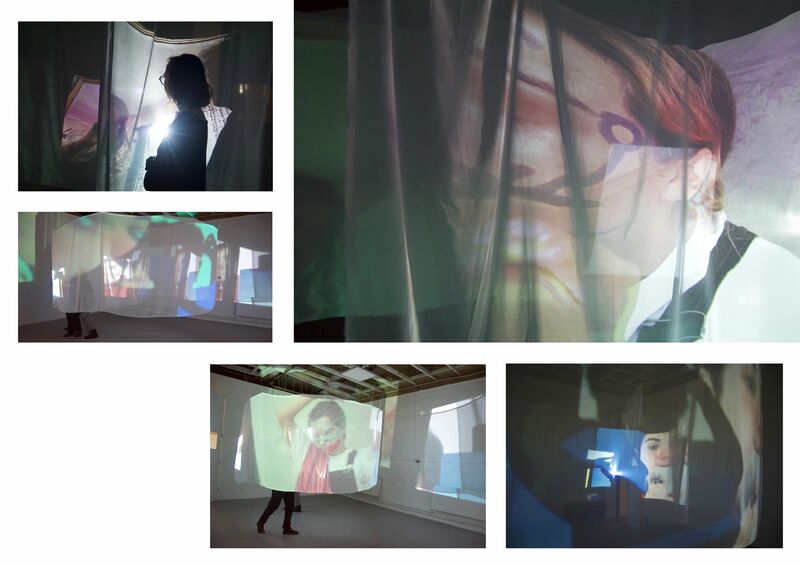 From artworks around the themes of gender and identity, psychological boundaries, time and space, as well as participatory art questioning choice and free will - we have it all! This is the final segment of our year and more importantly degree! We have had such an amazing time over the three years and so together, we want to make this the best, highest standard exhibition that we possibly can. 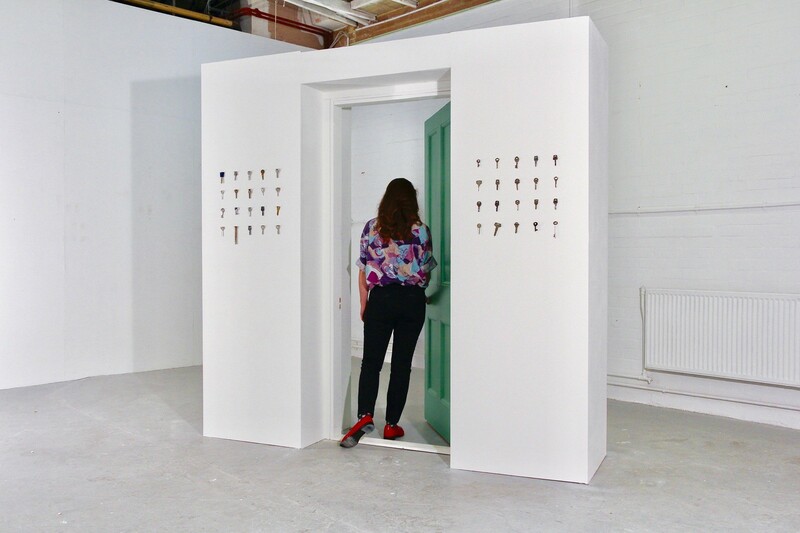 Our degree exhibition could play an important role in all our futures, as the exhibition is open to the public, and it is known that gallerists, artists and other industry professionals attends this event. This means there could be potential future opportunities created through this event! We will use around £550 of the money to produce a sculpture catalogue. 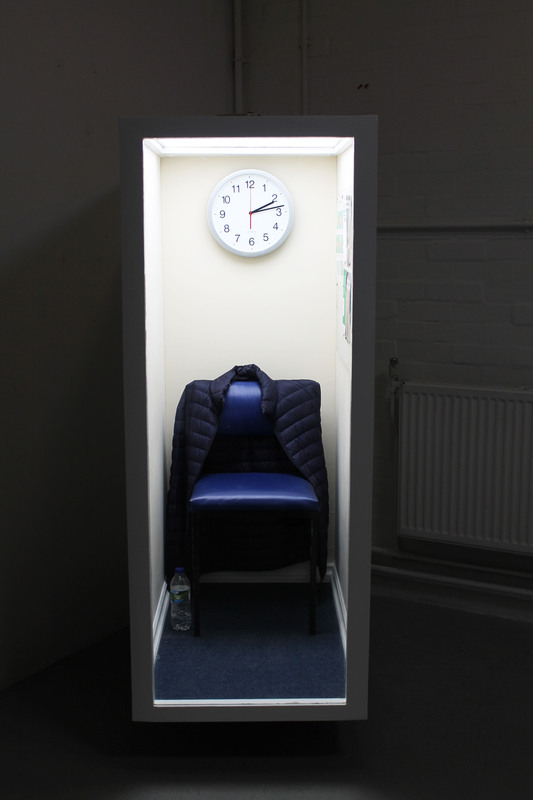 This will include a section on each student and our practices, including visual imagery and artist statements that will allow the visitors to fully understand our works within the show. The visitors are also encouraged to take a catalogue home for free, and so we aim to print at least 200 catalogues. 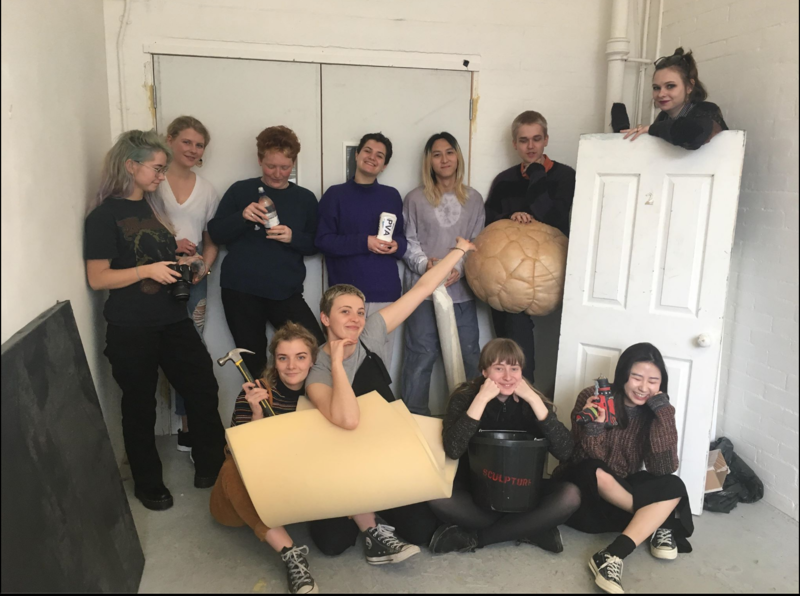 We aim to raise around £100 of the money to treat our lovely hardworking first and second year sculpture students to lunch everyday through the exhibition build. They will be helping us to get the exhibition space up to scratch, from filling holes, or sanding the walls and floor to painting the exhibition space. Furthermore each 1st and 2nd year student is assigned to a specific third year to help that student build their actual final artwork. They are very important part and integral to building the exhibition, and we would not be able to do it without them, so we have to treat them well! If we reach our full target of £800, the remaining raised will be split up equally to go towards helping us pay for our art materials for the final show. It would help to keep our costs a bit lower, as buying certain materials for an exhibition piece can sometimes be unaffordable. We have some fab rewards to thank everyone who donates, whatever the amount you might give. Check them out on the side! By contributing to this project, no matter how small the donation, you would be supporting us as young artists, by facilitating us to organise and create the best exhibition possible! This will celebrate the time and patience we've put into developing our artistic practice this far, and be a great starting point to for our future endeavours. If you are unable to help us financially, we would really appreciate it if you could share our project with anyone you think would be interested. We are very aware that the further we can spread this message the more money we will be able to raise! We would also love for everybody to come along and show your support by visiting our exhibition at Grand Parade from the 1st June - 8th June. THANK YOU FOR TAKING THE TIME TO READ OUR SPRINGBOARD PROJECT! You will receive a shoutout on our Facebook and Instagram pages! You will receive a signed postcard and 2 spare postcards designed by our sculpture students! You will receive a special thank you mention at the back of our catalog and a handcrafted zine designed by our sculpture students!